Penthouse views from this sophisticated 2-bedroom 2 bath Poppleton Place remodel. Top floor unit with prime southwest exposure offers premium upgrades throughout. New island kitchen by Designs Unlimited boasts granite counters, white cabinetry and appliances, recessed and undercabinet lighting. Open living room and dining room has new flooring and balcony overlooking downtown. Two bedrooms featuring Stark carpeting, custom closets and blinds. Two full baths, also by Designs Unlimited, are updated with European touches. Master bath includes Agape sink and soothing Chroma therapy/Whirlpool tub. 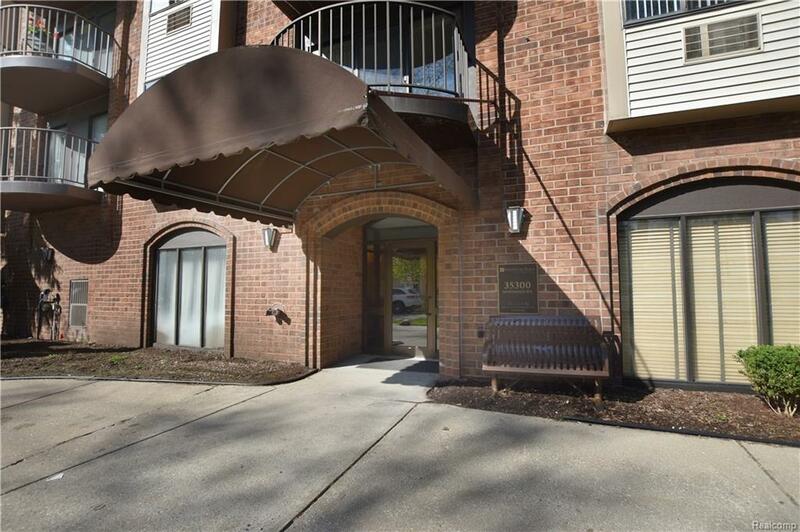 This unit comes with new Pella windows and door wall plus a deeded covered parking space just outside the door. The premier Birmingham location is a short walk to restaurants, theaters, Shain Park and Farmers Market. Association fee includes heat and water.